I've been wanting to participate in this new challenge I found called MUSE. Oooh! I had an hour break before doing kids baths and this is what I came up with. Haven't use this little owl in a long time. 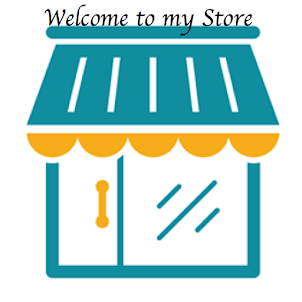 Get inspired and visit the Muse HERE! He querido participar de este reto desde el lunes que lo encontre, se llama MUSA. Uh! Tuve una horita libre antes de banar los ninos y esto es lo que me salio. No habia usado mi buhito en mucho tiempo. Sea inspirada y visite la Musa AQUI! 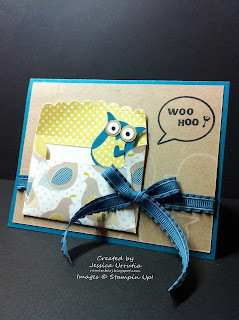 This was the inspiration card made by Laurie Willison! 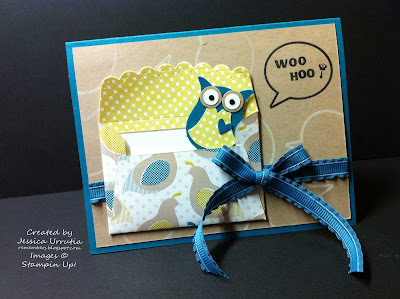 Esta es la tarjeta de inspiracion creada por Laurie Willison! You're free to draw your inspiration from any of the elements of this week's Muse card. For example, design/layout, color combination, pattern, texture, image, style, embellishment and technique. 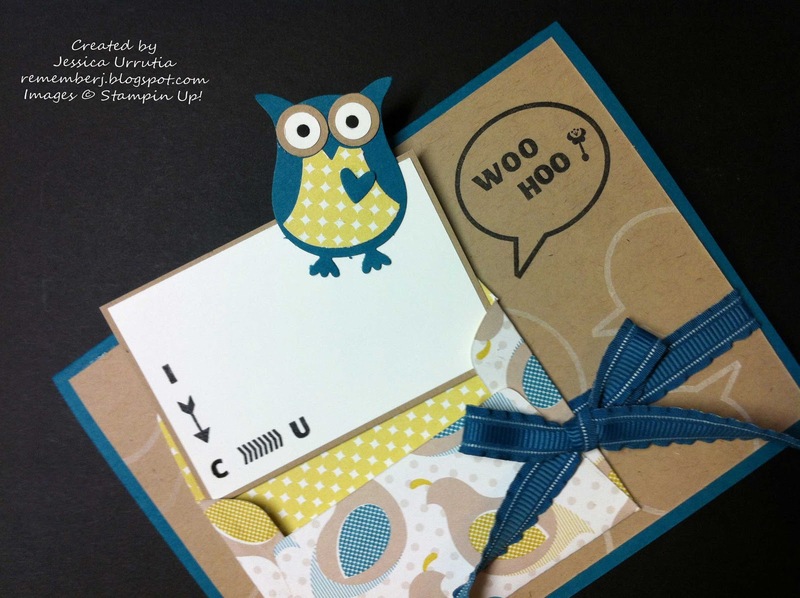 Be creative and make a card that reflects your own personal style and flair. Eres libre de obtener tu inspiracion de cualquiera de los elementos usados en la tarjeta de esta semana. Por ejemplo, diseno/esquema, combinacion de colores, patron, textura, imagen, estilo, adornos y tecnica. Se creativa y has que la tajeta refleje tu propio estilo y encanto. 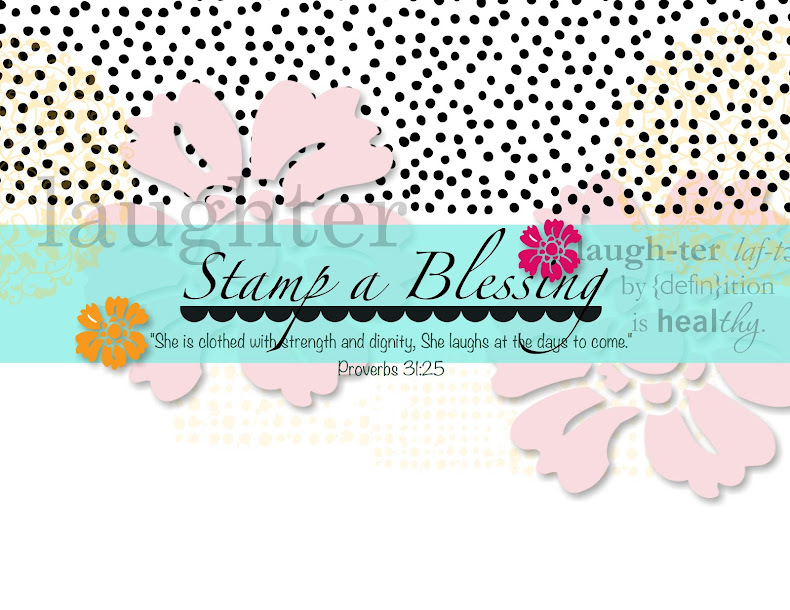 I wanted to add a cute phrase with my new Designer Typeset stamp set...woo hoo! Then look inside the little card! We all love to be seen...and loved indeed. 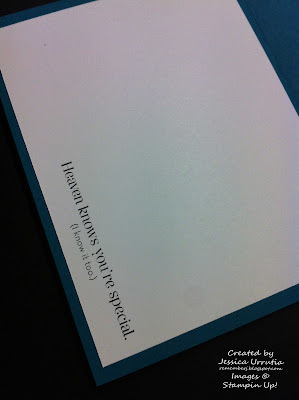 Queria anadir una frase chulita con mi set de sellos Designer Typeset..woo hoo! Luego mire adentro de la mini tarjetita! Todas queremos ser vistas...y amadas por supuesto. Thanks for visiting my blog today..hope you are blessed with inspiration from heaven to create beauty around you no matter the circumstances...you were created to shine and excel! Gracias por visitar mi blog hoy..espero sea bendecida con inspiracion del cielo para crear belleza a su alrededor no importando las circumstancias...fuiste creada para brillar y sobresalir! Would love to hear from you...leave me a comment below! How this post inspires you today? Me encantaria escuchar de ti...dejeme un comentarito abajo! Como le inspira el post de hoy? Su demonstradora favorita de Stampin'Up! This is really fun - I never would have thought of this, but I really see the Muse here! So glad you played along! 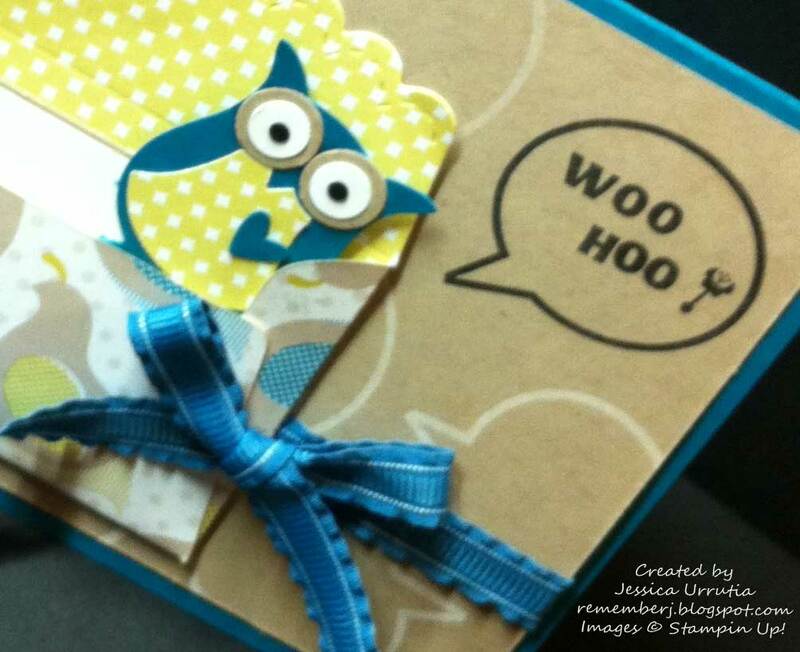 I have no time to scrapbook! Pom-Poms and a Western birthday party! 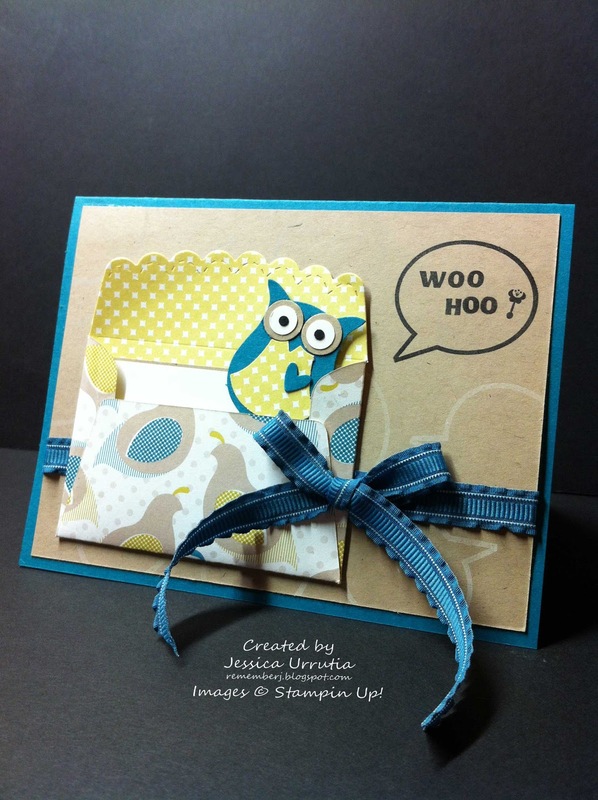 ScrapMonday: Mi Hermana, la mejor! 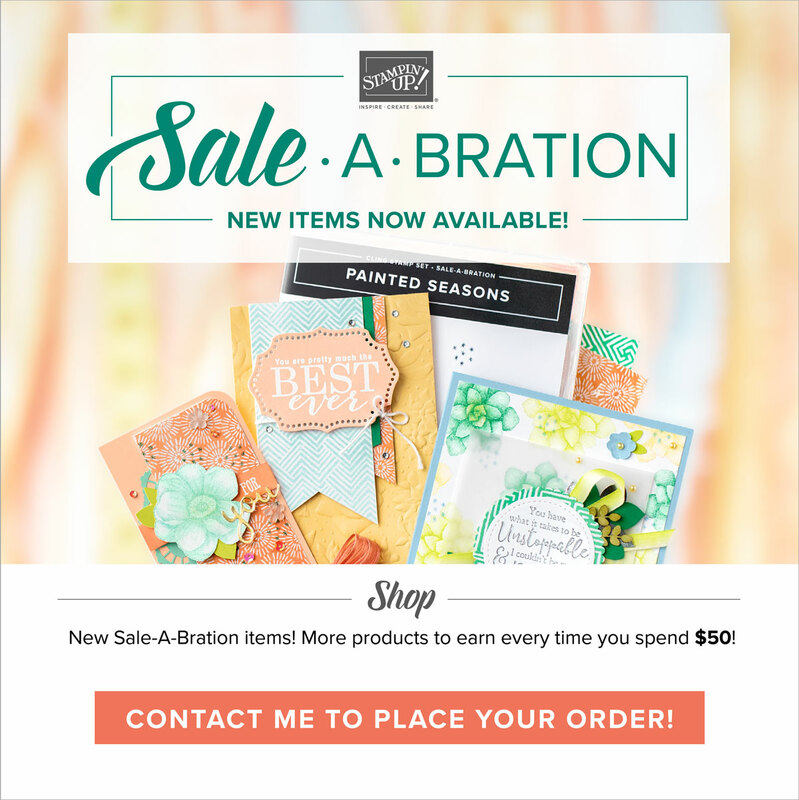 Free Shipping for three days in a row!